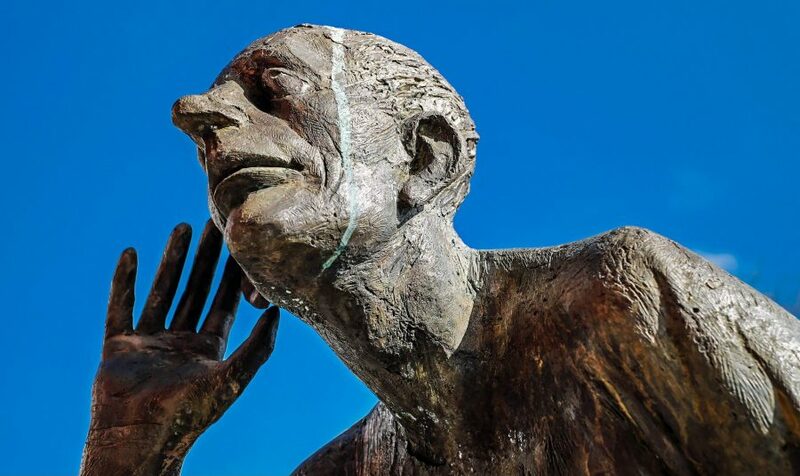 Last month, a nasty FaceTime bug was discovered that allowed a FaceTime caller to hear audio from your device while it was still ringing, before you accepted or rejected the call (see “Apple Disables Group FaceTime to Block Glaring Privacy Hole,” 29 January 2019). The bug was related to the Group FaceTime feature introduced in iOS 12.1 (see “Apple Releases iOS 12.1, macOS 10.14.1, watchOS 5.1.1, and tvOS 12.1,” 30 October 2018), so Apple disabled Group FaceTime from its end while its engineers worked out the problem. A “high-level executive with Apple” has since visited the Thompson family to thank them personally and get feedback, and Apple has indicated that Grant Thompson will be eligible for their bug bounty, which is usually restricted to invited researchers and pays up to $200,000 for each vulnerability reported (see “Apple Opens Bug Bounty Program,” 5 August 2016). That’s one way to pay for college! Apple was able to respond and block the issue on its servers within an hour of it becoming common knowledge. This happened the same week in which Apple also used its server-side control to disable apps from Facebook and Google that were violating Apple’s terms of service and violating user privacy (see “Apple Shuts Down Facebook’s Internal Apps Due to Flagrant Policy Violations,” 30 January 2019). Apple publicly acknowledged the Thompson family’s discovery of the bug. Over a decade ago, Apple wouldn’t typically attribute security vulnerabilities to the researchers who discovered them. Not only has that policy changed, but Apple is giving the family credit in its public statement despite that report being mishandled internally. In the statement, Apple admits that its security bug reporting process is flawed and needs improvements. While Apple has made great strides in working with security researchers and improving its vulnerability management process, it still has problems when it comes to bug reporting. 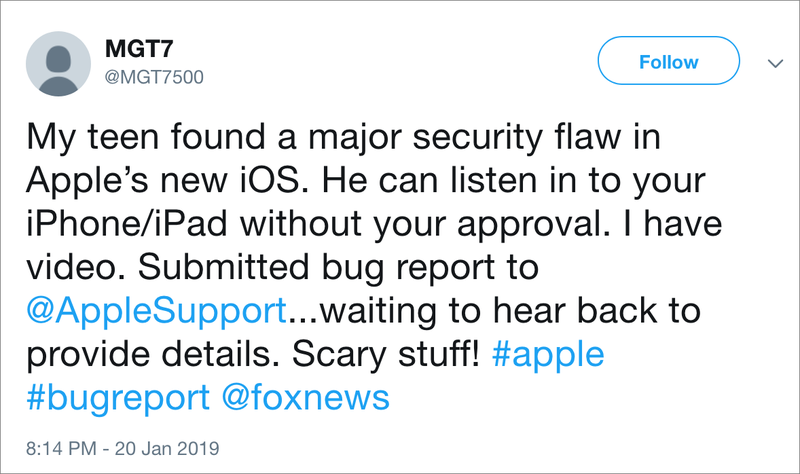 Apple’s current system requires submissions to originate from an Apple Developer account and be shared using the company’s dedicated bug reporting system. This isn’t merely an obstacle for security professionals (and hobbyists); as reinforced by this incident, it prevents reporting from the general public and appropriate internal escalation of sometimes-serious issues that get lost in a sea of general bugs. 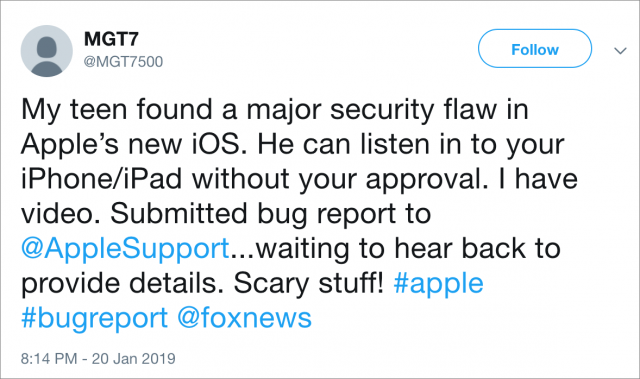 Apple blocked the vulnerability so quickly that our Twitter feeds were still filled with people blasting out the flaw even hours after Apple’s workaround went into effect. Make no mistake, this was a serious security failure, but one that Apple handled quickly. The company’s statement and outreach to the Thompson family also show that it recognizes the failures in how the initial reporting was handled and intends to improve the process going forward. We’ll see if Apple follows through on that intent. What is the best way to report a general bug? I have a weird thing happening on my machine in which coming out of sleep my screen is briefly visible before the login screen appears. That is unquestionably a bug, and a rather serious one, too. But I have no idea how to alert someone technical enough to track it down (other than perhaps seeing whether someone I might know at Apple could help.) The idea of getting a developer account and then dealing with all that seems onerous. Plus, it is really inconsistent and without being able to provide steps for reproducing it, I can see it ending up in the “closed” bin. Your best bet is AppleCare, but if you didn’t spring for that or your coverage expired you’ll have to pay for phone support. Apple Genius Bar is next best. They should be willing to discuss with you when you show them. Agree that developer account isn’t worth the effort. Writing Product-Security probably won’t work without a demonstration. The Apple Feedback web site Is close to worthless for such situations. I’m not sure I agree that this is a serious bug without actually seeing it though, as it doesn’t seem to me that a glance at your screen is at all exploitable. Does Apple ever charge for phone support anymore? I’ve never been asked in the slightest if what I’m calling about is somehow covered by a warranty. In terms of reporting a general bug, the best way to do it is via Apple’s Bug Reporter, but that currently requires a Developer account. Someone who has one could do it for you, if you don’t. I’m sure there are some people here who are in the program. Dev account? LOL. This thread nicely describes the problem. Why should anyone jump through hoops to report a bug to Apple? What Apple should have is a nice and simple form on their website for anybody to enter. Ideally it should indicate important information that should be included so less savvy users (like the mom in this story) are assisted in reporting all relevant details to Apple’s engineers. The existing feedback form could be used for this, it’s anybody’s guess why Apple hasn’t implemented that. Yeah, this is exactly the question—what will Apple do to make general bug reporting available to the public. I was blanking on the context slightly when I replied above and was thinking about purely this group. I can see some of Apple’s thinking. You want to make the true bug reporting easy to do, but not a dumping ground for what people think are “bugs” but are technical issues or user problems that should be handled in support. A good screening team would help on this.